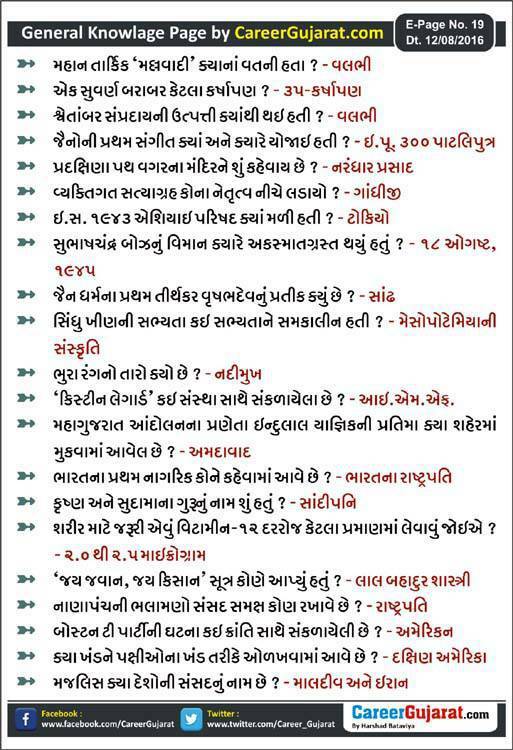 Career Gujarat General Knowledge Page. This General Knowledge Page is usefull for all Competitive Exam like... GPSC, UPSC, SSC, TET, TAT, HTAT, CTET, GSSSB, Talati, Clerk And Many Government Exams. This GK Page will help you all for Government Competitive exams like... Vidhyasahayak Bharti, HTAT Bharti, Talati Bharti, GSSSB Bharti, Police Bharti, GPSC Recruitment, Bank Recruitment and Other Competitive Exam.